Every wedding that is held at The Hayfields is unique. 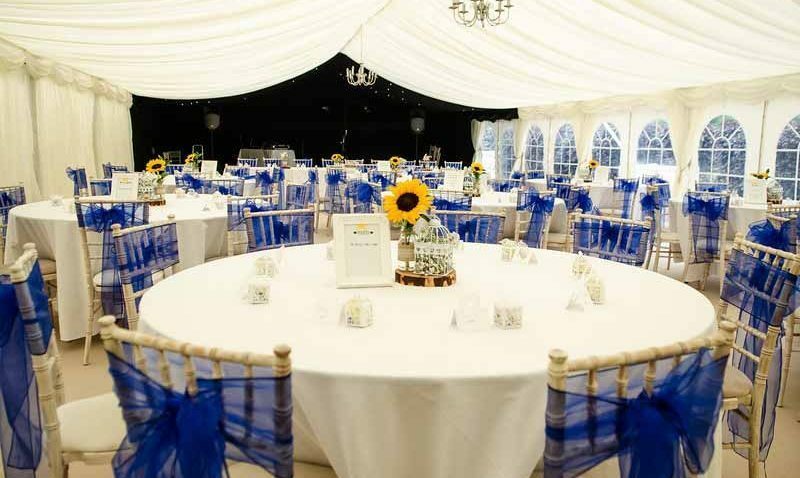 Our team of dedicated wedding specialists spend time from the initial consultation right the way through to the big day ensuring that every last detail is in place. 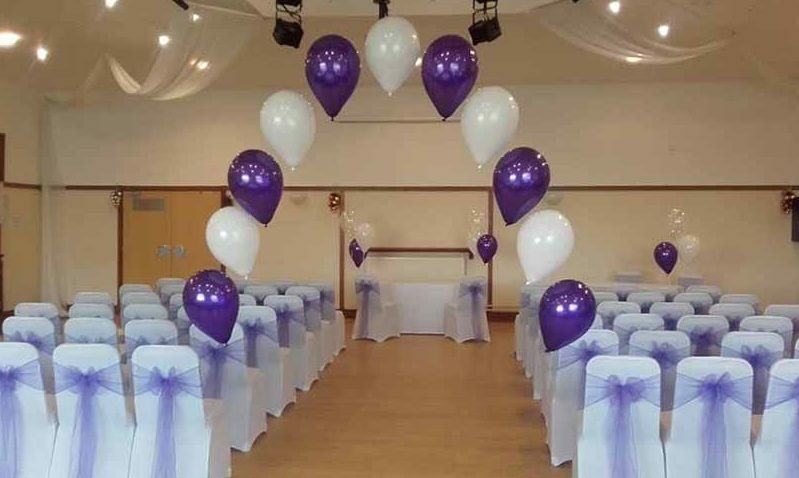 The ceremony room is a blank canvas and can be laid out to your personal specification. 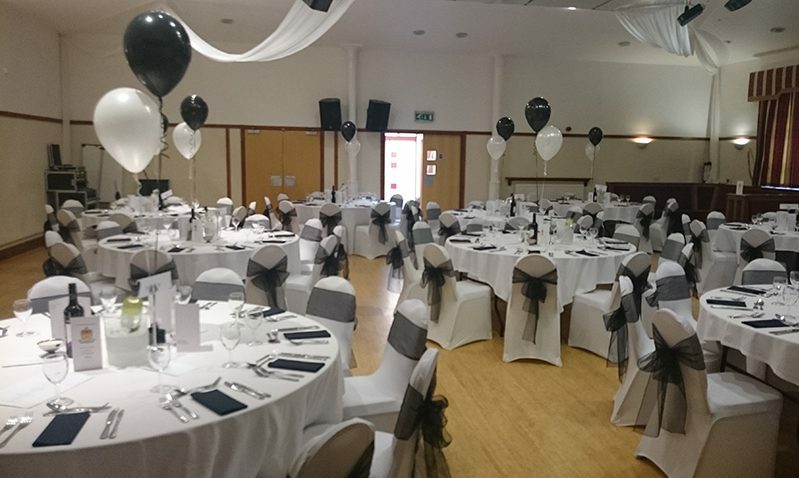 If required we can take care of the decor ensuring that it ties-in with your theme and colour choices. Alternatively, if preferred you can arrange to come in on the morning of the wedding to complete the final touches yourselves. Here at The Hayfields we are very flexible and pride ourselves on offering a highly bespoke service to all. 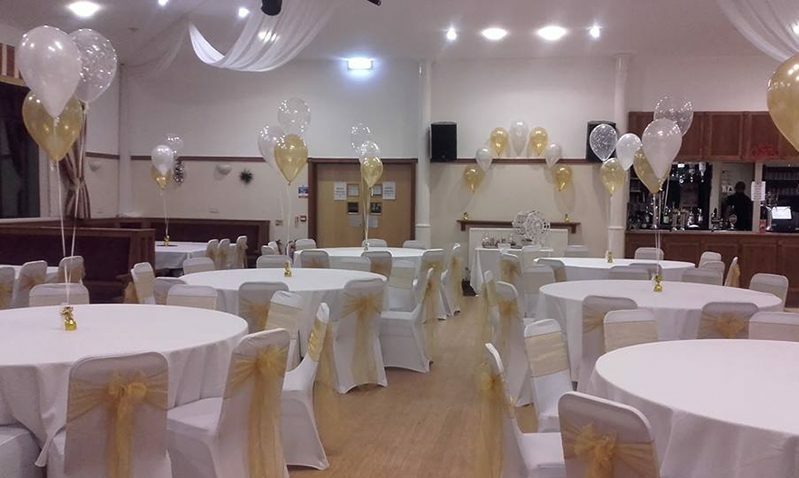 Chair covers and sashes. Available in various colours. Wedding breakfast. We have a 5 star hygiene rating. Day capacity of up to 150. Evening capacity up to 200. Late night bar (up to 2.00am). Lounge bar that can hold up to 50. There are various menu choices available from buffets to sit down meals depending on your specific requirements.